May the road rise to meet you. And may the wind be always at your back. Happy St. Patrick's Day everyone! This week in celebration of the most Irish of days we tried the, Kiss Me I'm Irish. Our friends over at Secret of the Booze blended up some shamrocks and leprechauns and tossed them in a glass. Click the image above and see how they do it the professional way. While you're drinking this liquid luck, have a listen to this weeks episode of the podcast and learn about the origins of St. Patrick himself and some of the mythos that surround this, the most drunken of days! We are the children of the atom! And this is the evolution of cocktails! You should definitely levitate your way to the Secret of the Booze YouTube page and see how this one is made. Just click the image above and head straight over! And while you're enjoying this mutated beverage, take a listen to episode 16 of the podcast where we give a short review of, Logan and build our own five member teams of X-Men! We are vengeance. We are the night. We. Are. Drunk! This week we tried the Gotham City Iced Tea and this drink is STRONG! Drink a couple of these and you might wake up on a rooftop wearing a towel as a cap and a cereal box as a mask! It is pretty delicious though! Click the image above to go over to YouTube and see how the crimefighters at Secret of the Booze combine 9 oz of justice to make the Gotham City Iced Tea! While you're sipping on that, join us while we create our dream cast for the Batman movies that we want to see! Wait....what were we doing? Oh yeah! We were talking about the Finding Dory! This week we took on Secret of the Boozes most forgetful cocktail! And arguably the most intricate! After finding some fishbowls to use, we tossed in all the candy and some tasty liquids and took a swig of seawater to help forget our troubles. Click the image above to shoot over to YouTube and see how to put together your oceanic adventure! And while you're sipping that, you should listen to You Me & Duffy and see what we thought and see how you feel about our top 5 Disney movies! To celebrate the International Day of Love, we turn to the Merc with a Mouth, Deadpool himself! This shot is delicious and was the perfect drink to get our feelings on the table while we talk about the history and mythos surrounding Valentine's Day. Truth be told.....its origins are pretty messed up! 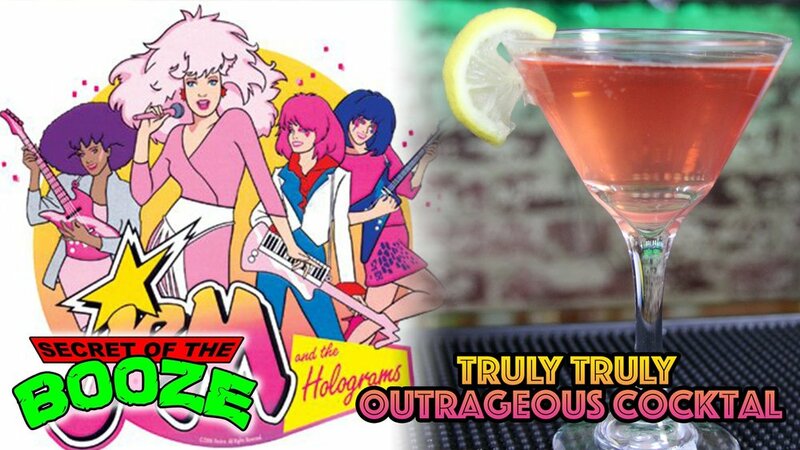 Take a second, click the image above, and head over to YouTube to see how Secret of the Booze put Deadpool in a glass. Come have a drink, listen, and maybe learn something about the origin of true love! This beverage is burdened with glorious purpose! The god of mischief in liquid form! The people over at Secret of the Booze have created a drink that embodies Loki's distinct flair. If you don't like black licorice, it may not be for you. But if you want to chase the green fairy, it may have what you need, Absinthe. If you try this one, please let us know what you think in the comments!